The Fiesta de los Patios de Córdoba is an annual competition in May for the best decorated courtyard in Córdoba. This festival sees many residents and institutions open up their courtyards for the public to enjoy the beautiful floral arrangements. 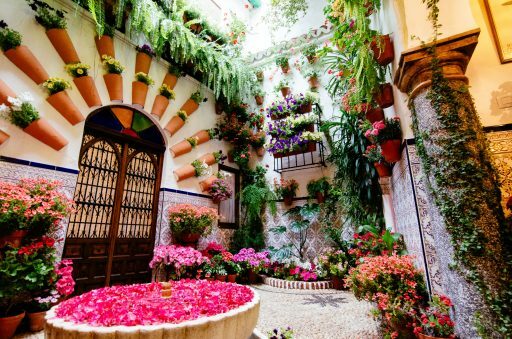 Exploring the charming city of Córdoba becomes even more fun during the festival as you peek through every single open door to find the most beautiful courtyard.